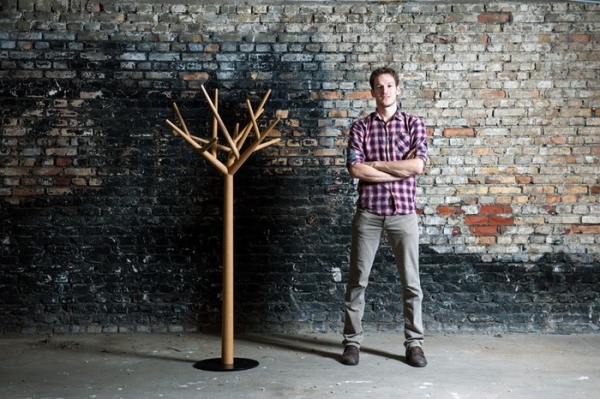 Adapting nature to find its place within the sterile and carefully contained temperament of modern interiors, novel ideas in product design often leave us just as stirred as satisfied. There is something lightly amusing about seeing impressions of the grand wild tamed into functional surrender, and that is exactly why these ideas make for great additions to a décor and scheme. 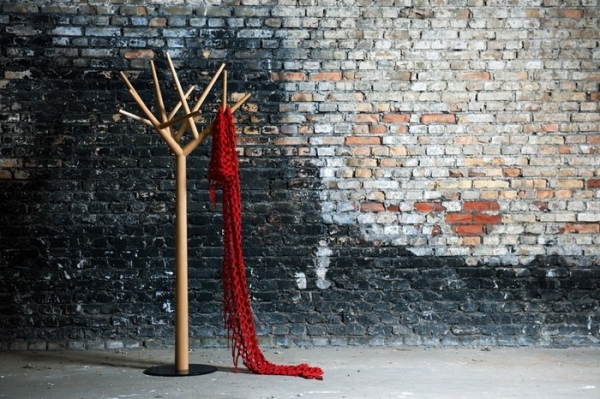 ‘Y’- a creative coat stand from Swiss furniture brand Klybeck – is therefore much more than just a storage accessory, bringing a distinct aesthetic and creative dialogue to the space. 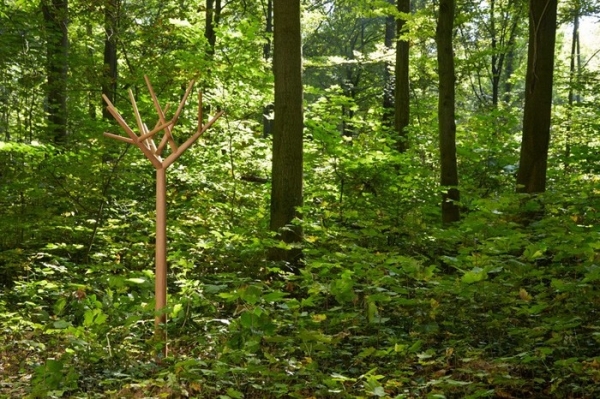 Designed by Baptiste Ducommum, the tree shaped coat stand has a whiff of Scandinavian minimalism which transforms the most mundane of movements into sheer visual delight. 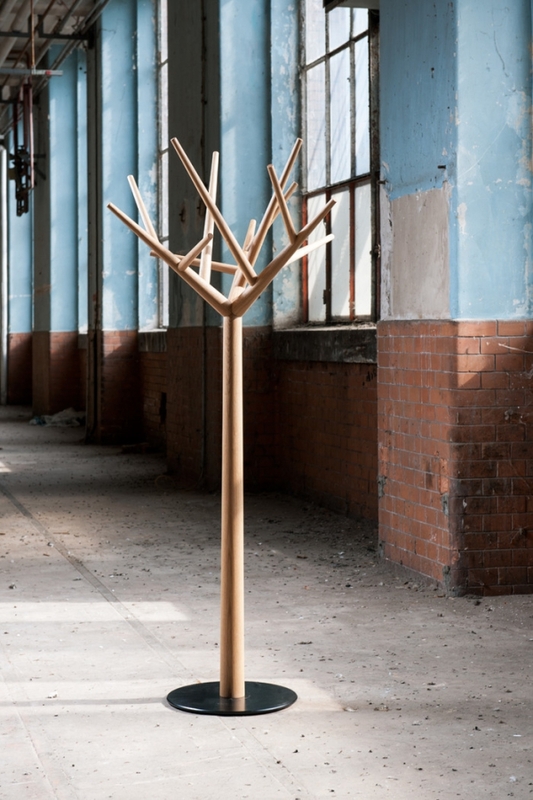 Eighty centimeters in diameter and 175 centimeters in height, this creative coat stand has twelve carefully positioned branches whose varying heights and depths offers an array of hanging opportunities. With coat or without, the stand transcends conventional entrance hall furniture to emerge as a spatial sculpture in its own right. 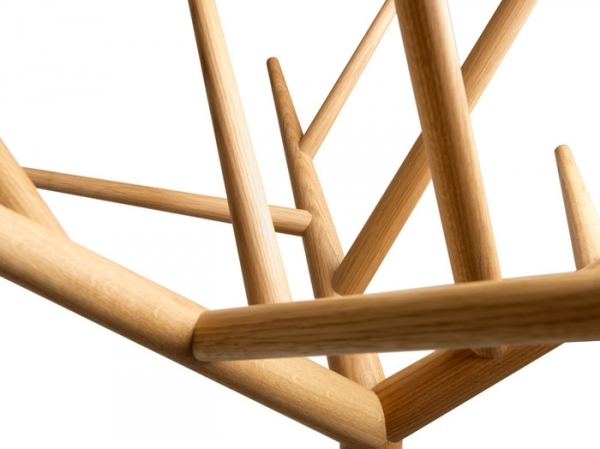 The stand is built in oiled oak, American walnut or ash wood and comes with a painted steel base. 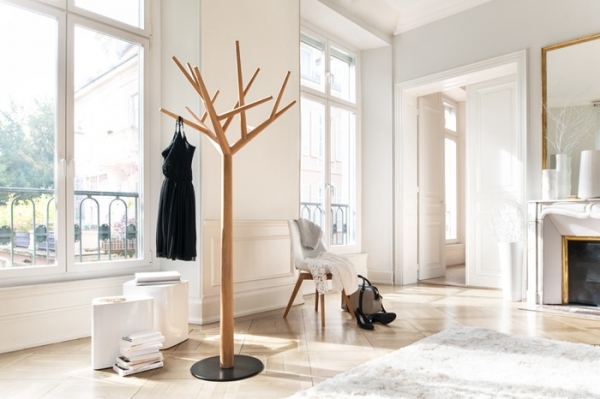 So whether you are looking to organize your coat clutter or new and smart entrance hall decoration ideas, the ‘Y’ may be just the accessory your space needs.